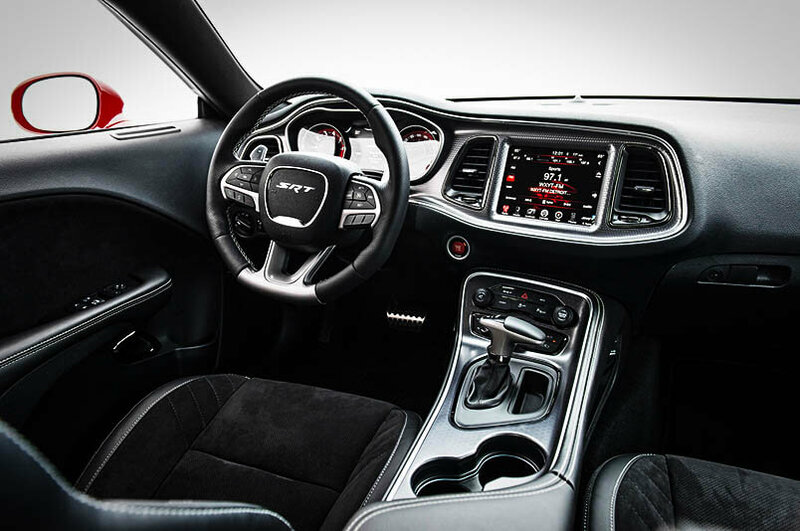 Few years ago 700 horsepower was just for supercars or race cars, but when Dodge introduced the 2015 Challenger SRT Hellcat things dramatically changed. The new Mopar beast sports the most powerful Chrysler engine ever made and with out a doubt is one of the best new muscle cars. 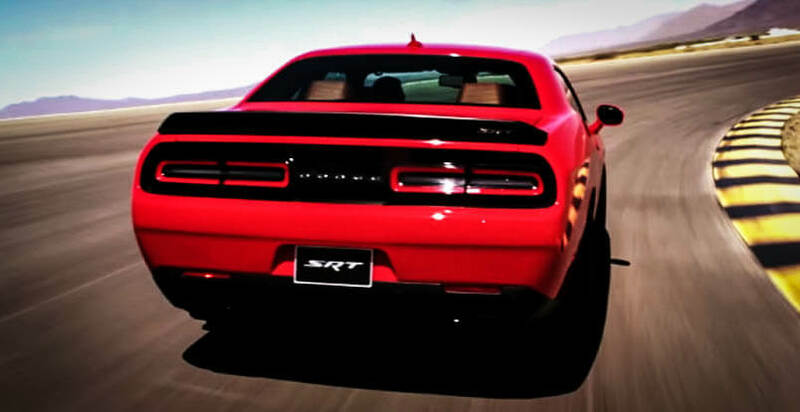 As the horsepower war was reborn and the Big Three are releasing high performance fire breathing new muscle cars that the world have never seen before, the 2015 Dodge Challenger Hellcat is the undisputed king. 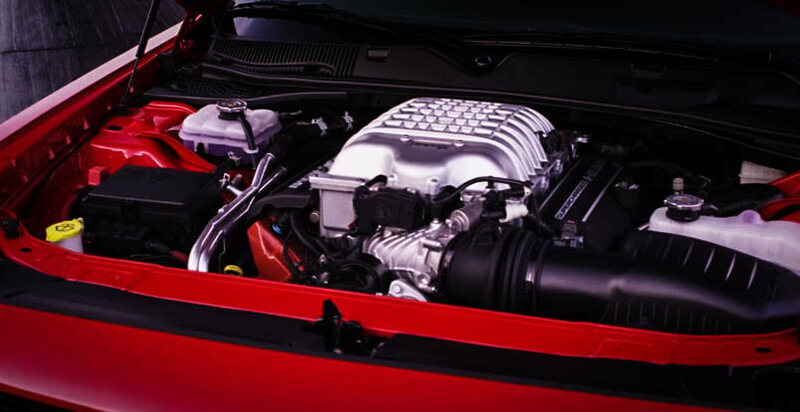 Its 6.2 liter Supercharged HEMI V8 engine producing 707 horse power is what makes it the most powerful muscle car available on the market for 2015. Based on the older 6.4 liter HEMI version the SRT Hellcat engine is 90% new with a lot of brand new systems developed by SRT required to support that much power. Starting with the exterior you have the functional heat extractors. The in board driver side headlight have been replaced with an air intake going straight to the motor. There are no fog lights, but an open air space to get as much air as possible into the engine coolers. 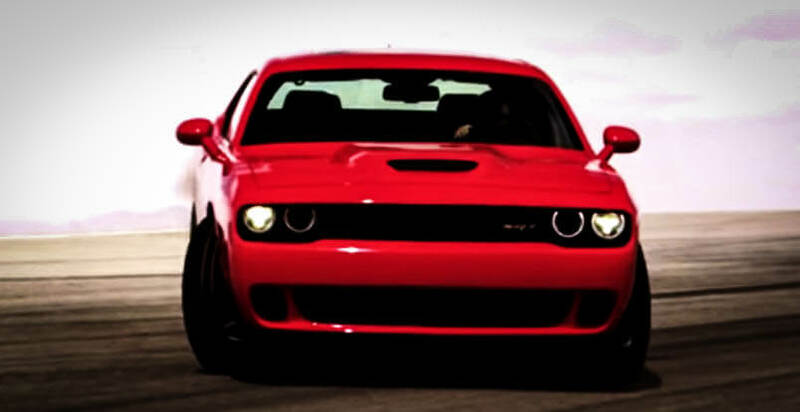 With so much power it is more than clear that you need the best brakes available in order to stop the Hellcat Challenger. Team Chrysler have used huge 15.4-inch Brembo disc brakes with 6 pistons calibers. The transmission options offered are 8-speed Automatic and a 6-speed Manual taken out of the SRT Viper. The dual pipes active exhaust system have the most brutal V8 sound you have ever heard. Inside you will find unique bucket seats and SRT products accents as well as the 8.4-inch touch screen command center where you can adjust all power, transmission and suspension settings, drive Dodge Challenger Hellcat all day in the city like a V6 with great comfort and full control or turn on “the beast mode” and enjoy the 707 horse power on the high way like there is no tomorrow. 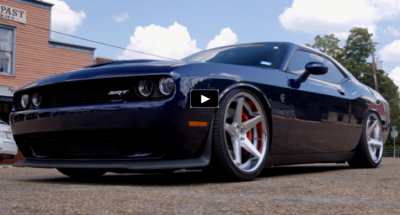 See this beautiful HEMI beast Dodge Challenger Hellcat with 707 horse power. 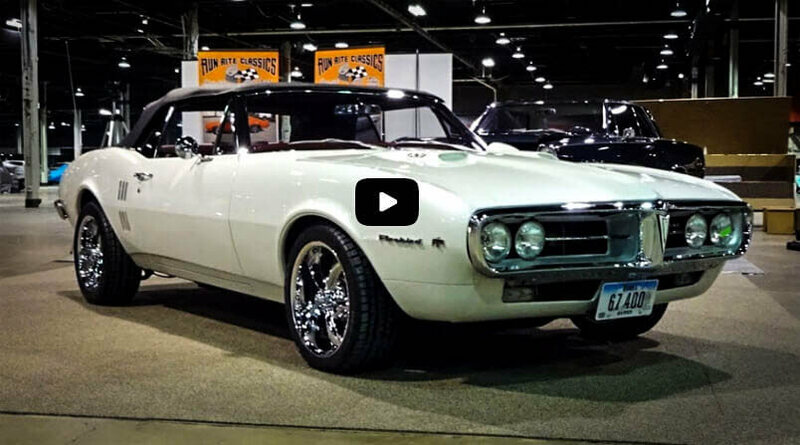 One of the top New Muscle Cars.